Should you panic and fear melanoma if a flat mole quickly becomes elevated to pencil eraser height? I read in a skin care forum of a woman who was very worried about melanoma because one of her moles had suddenly begun rising in height. “While this most certainly could be a melanoma or a dysplastic nevus, it could also just be a benign keratosis,” says Dr. Dendy Engelman, a board certified dermatologic surgeon, of Medical Dermatology & Cosmetic Surgery. A benign keratosis refers to a seborrheic keratosis, or skin barnacle. “They often bleed, if scratched or rubbed, and can look quite ugly despite being benign,” says Dr. Engelman. These “SK’s” often look like moles. In fact, if you have one on a location of your body that’s difficult to inspect up close, such as your back, it could easily pass for a mole. And you might have had it for years, thinking it’s a mole. Then suddenly it starts changing—and rapidly. This can happen with these skin barnacles. 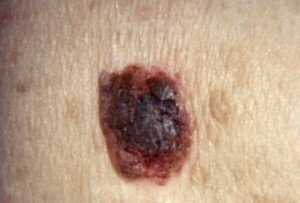 A dysplastic nevus is a mole, but an atypical one (though benign) that has a higher chance of becoming malignant when compared to typical moles. They appear odd and may even resemble melanoma. Dr. Engelman says, “Dysplastic nevi can change for a number of reasons; from being rubbed by clothing or inadvertently scratched — without there being significant cytologic atypica microscopically. Certainly, if a “mole” rapidly rises in height, especially to that of a pencil eraser, waste no time getting it biopsied. “Whenever in doubt, one should always get a concerning lesion evaluated by a licensed and trained professional,” says Dr. Engelman. This should be a dermatologist. But what about nodular melanoma? Don’t nodular melanomas grow quickly, and by definition, are elevated? Dr. Engelman says about the OP’s mole problem, “It sounds like a nodular melanoma and it very well may be; however, there are also benign lesions that can rise to the size of a pencil eraser in as short a time as four weeks. 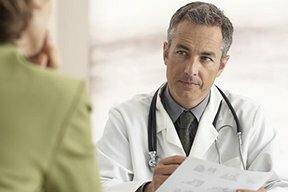 Versed in the latest techniques and technologies, Dr. Engelman provides a wide range of services including fat removal, mole excision, Mohs surgery and skin cancer treatment. 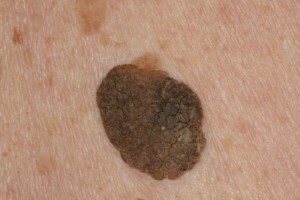 Edge of Longstanding Mole Is Coming Away from Skin: Melanoma?